We are an authorized sales and service center for Avery Weigh-Tronix Scale systems. We can work on platform and mobile scales, compression load cells, truck scales, and three and four point scale systems. 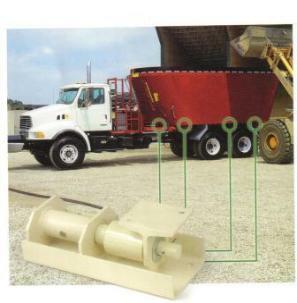 Avery Weigh-Tronix scales are perfect for dairy scales, feed truck scales and feed box scales. Unloading chains, cutter knives and auger repair are all available at AGMEC, Inc.